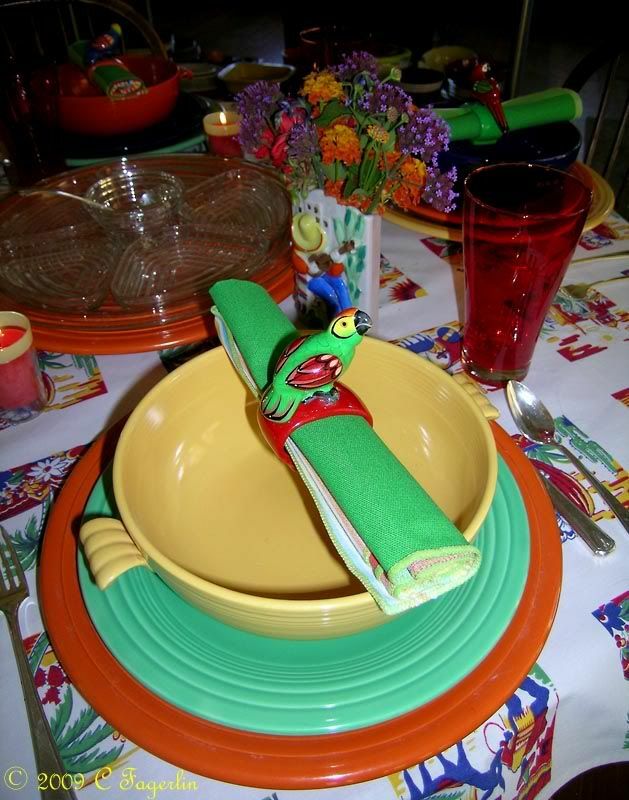 Welcome to another meal with all the participants over at Michael Lee's Designs By Gollum. It's time for our favorite Foodie Friday! and some sour dough bread and I'm in heaven. and Tricolator bowls are the perfect size for the salad. The large chop plate holds a Manhattan Relish Tray for additional toppings for the salad. 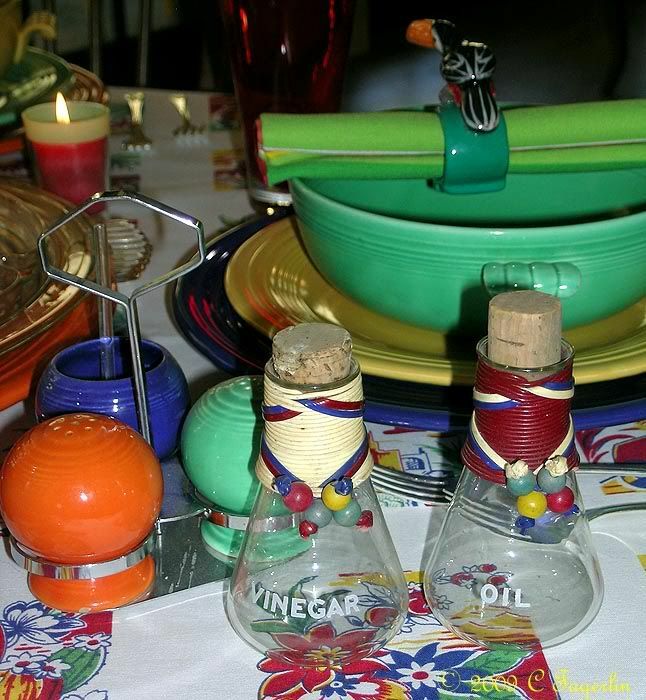 Oil and vinegar from the vintage Pyrex containers. Salt & Pepper and mustard served from the Royal Chrome Condiment Set. used in the vintage Fiesta Ensemble sets. the cute napkin rings came from eBay. Verbena, and Geraniums from my garden. Spinach salad is one of my favorites. 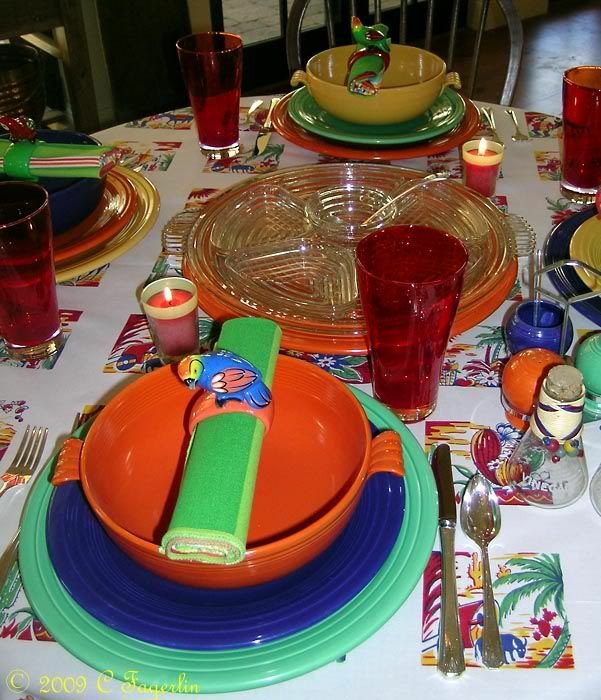 Beautiful table...cute napkin rings. So bright and "festive"! Your spinach salad sounds so yummy. I want to make this tomorrow for lunch! 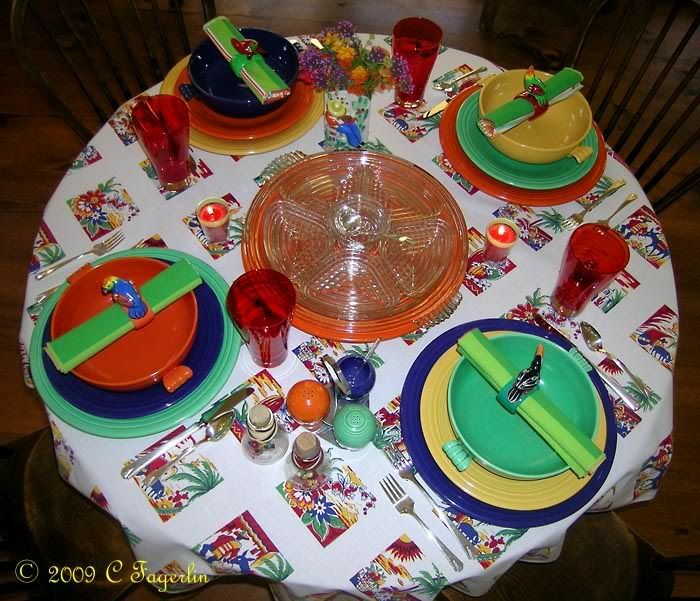 What a colourful table! It looks like Spring has sprung at your place. Another lovely table. I love the wall pocket. Spinach salad is always a hit around here. I think that little wall pocket used to belong to my mother! The salad sounds great and the table is so cheery. Thanks, again, for another beautiful table! 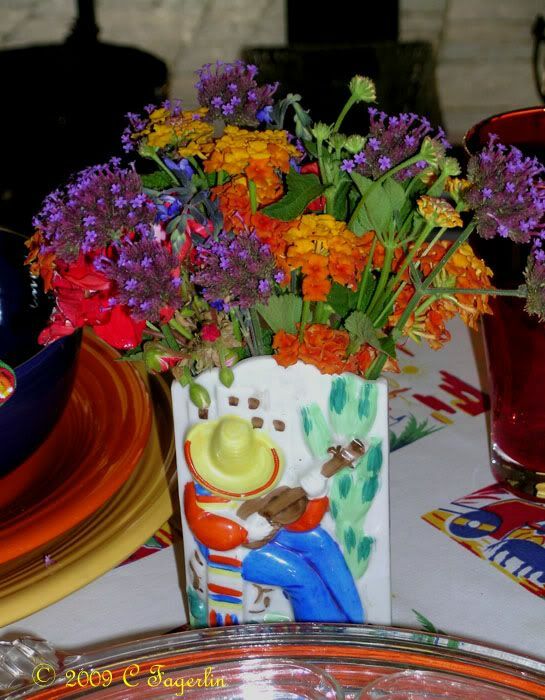 The little wall pocket is so cute and goes so well with your colorful and festive! The salad sounds delicious and I love the simplicity. OLE! Spinach salad is even more wonderful on Fiesta. I love your tablecloths, too! Thanks everyone, just love the ease of a quick dinner like this. Makes a lovely presentation and as the garden begins to produce again, extra little bits of green things can be added to the mix. I appreciate all your lovely comments!